Acupuncture for weight loss is a method by which we stimulate certain acupuncture points and we work on centers of hunger and satiety that are located in the hypothalamus. In this way, we act on some functions of organs that significantly influence our metabolism and give us a feeling of hunger. Weight loss with acupuncture and treatment of obesity are not the only topics that we will deal with at this time, but we will do our best to present to you more health benefits of this ancient method. 5,000 years ago, the Chinese knew that the human body has 12 meridians and 365 acupuncture points, which corresponds to the number of months and days of the year. Acupuncture treatment has been known in Europe since the time of the French missionaries (late 16th century), and the World Health Organization recognized it only in 1978 as the official branch of medicine, and is now used worldwide to supplement modern therapy. Acupuncture is based on the fact that the man, like all organisms on the planet, is filled with the life energy called chi, which circles the body with certain paths or meridians. Each meridian corresponds to a certain functional area, and the channels are divided into Ying and Yang. According to this theory, all organs of the human body have the characteristics of Ying and Yang. Namely, the upper body, its exterior, and the back (back) belong to the "yang", while the lower part of the body, the internal organs and the front (abdomen) belong to the "Ying". In addition, no part of the body has a permanent characteristic of a particular element. For example, the chest is in relation to the abdomen 'yang', because it is above it, but it is in relation to the head 'ying'. A healthy organism is the one in which the energy of 'ying' and 'yang' is in balance. However, various external factors (bacteria, cold, negative radiation, injuries), as well as internal (stress, negative emotions, anger, sorrow) can cause a certain imbalance, which can disrupt and completely stop the flow of energy. Causes disorders in the psychophysical functioning of the organism, which leads to the onset of the disease. Acupuncture points make it possible to regulate energy flow in a certain functional area by sticking the needle from precious metals. In this way, acupuncture needles restore a normal flow of energy, restoring health to the entire human organism. When modern medicine can no longer help acupuncture comes to our aid and its biggest advantage is that it can be combined with medication. During treatment, endomorphism is secreted, which works more strongly than morphine, so acupuncture is excellent for patients who are allergic to anesthetics. Cases were reported when very complex operations were carried out on the inner ear, heart, or brain, in which patients were in awake, but they did not feel pain due to the stimulation of certain points on the body. At a time when it is recognized worldwide, acupuncture successfully cured about 50 diseases. However, today this list has been significantly increased and it can be said that this method is applied in the treatment of almost all known diseases. Thus, on the list of diseases that this method deals with, there are soft tissue injuries, muscle spasms and sprains, as well as chronic diseases of the bone-muscular system, where acupuncture is used with other physical therapies. This method is also widely used in gastrointestinal, respiratory, gynecological, neurological and genitourinary diseases, but also in the case of chemotherapy, postoperative pain, nausea and vomiting in pregnancy. It has also proved to be extremely successful in the treatment of conjunctivitis, childhood myopia, toothache, pain after tooth extraction, gums or throat inflammation, headache, migraine, and even when quitting smoking and weight loss. Although in the introduction we talked about how actually acupuncture for weight loss works and how acupuncture needles stimulate the work of certain centers in the brain, but do not take all information for granted. Please be informed before applying any expensive treatments. What you need to know at the beginning is to know that you will not lose weight only by applying acupuncture, it will only help with the prescribed diet by the nutritionist. It helps to relax our body, because it is certainly under stress and when we are on a diet, we are much nervous. Even scientific studies that have shown that ear acupuncture can reduce our body mass index. It sounds really incredible, but after testing 91 people, whose BMI was over 23, the stunning results were achieved. One part of the participants were tested with only 1 needle, and the other part received 5 of them. At the end of the 8 week study it was shown that the participants who got 5 needles during the strictly prescribed diet, they reduced their BMI by an average of 6.1%, while the second group managed to reduce it by 5.7%. Motivation and the will of every human being is indispensable if he or she wants to leave cigarettes. Learn more about how to quit smoking. When it comes to acupuncture for quitting smoking, there are two methods: The first is an acupuncture of eardrums where permanent needles are placed in both ears and are changed once a week for the next 5 weeks. The second method is a combination of body and ear acupuncture. The first week starts with body acupuncture and the next 4 weeks with the ear acupuncture. Then there are also permanent acupuncture needles. Both methods yield good results, provided the patient is serious in the intention to leave cigarettes. The World Health Organization has conducted a very extensive research on this topic. In a large number of respondents after acupuncture treatment, the number of days with mingrenal headaches has decreased considerably, even for doubled. Medical acupuncture works on our entire body in a relaxing way, which benefits migraine and all forms of headaches. When problems are diagnosed, the first step in acupuncture therapy is the choice of an acupuncture channel, after which it is determined how much treatment will be needed, whether it is a local or systemic disease. It must be carried out under strictly sterile conditions. So, the skin is purified by iodine or alcohol, after which it includes completely sterile needles for precious metal acupuncture. The depth of the sting and the number of needles used depends on the general condition of the patient and the type of disorder. 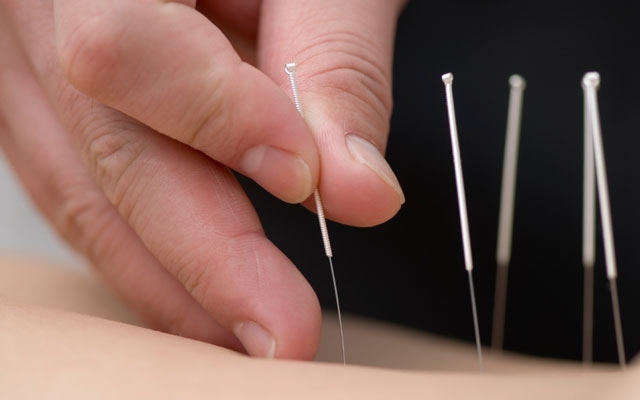 During a single treatment, the number of needles is not limited, it depends on the diagnosis and the technique of the doctor-acupuncturist. The needles strike at a depth of two millimeters to a few centimeters, and remain there from 15 to 30 minutes. During the treatment, the patient must lie completely calm because movement can cause a change in the position of the needles, neutralize its action, but also cause pain. With classic treatments with acupuncture treatment today we also have stimulation of acupuncture points with electrical energy - electro acupuncture or laser acupuncture). Electro acupuncture is applied by stinging stimulation of the points where the needles are coupled with the electrodes of the electro stimulation apparatus. Sessions take 15 to 20 minutes a day, or every other day, and they are repeated 10 to 15 times. On the other hand, there is electro acupuncture without stinging the needle in the skin in which case the acupuncture points are stimulated only by the fused electrodes. Laser acupuncture is a sterile, non-invasive and painless method that does not have side effects if properly applied. In this type of treatment, the laser is directed to the skin at a distance of at most five millimeters, depending on its strength, and then the acupuncture points are stimulated for 5 to 30 seconds. This modern therapy is of great importance for the treatment of children and convalescents, because they are patients who are reluctant to receive classic needle therapy, due to fear of needles. How much is acupuncture successful? At the beginning of the treatment, most patients feel the warmth and weight in the body, which, after a few minutes, turns into general physical and psychological relaxation. This procedure is completely painless for most patients, however, they may feel little uncomfortable. After treatment with needles, there are no permanent changes on the body, and the procedure is repeated eight to ten times, depending on the type and degree of advanced disease. Then a break of one month is taken, after which it is desirable to repeat therapy in the same way. In the case of chronic cases, sometimes it is necessary to repeat the treatment several times until the desired effect is achieved, for example, laser acupuncture is extremely useful when it comes to different aesthetic interventions, and improvements are seen already after the first therapy since it visibly tightens the skin and lightens. Also, this procedure stimulates the formation of collagen and elastin, hyaluronic acid, and, accordingly, rejuvenates the skin and maintains its beautiful appearance. Acupuncture is certainly in an advantage over other medical disciplines precisely because it looks at the man as a whole and cures his biggest problem - pain (headaches, sciatica, neuralgia of any nerve) and at the same time positively affects the entire body. Treatment with acupuncture restores the balance of the whole body, which is disturbed by a state of sickness. It is very important that acupuncture over other medical disciplines is based on the natural way of treatment. Then there is no tissue damage as after surgical interventions and no chemicals are used. Modern medicine is drug-based, it involves the use of radioactive isotopes and radiation, which are all, useful at some point, potentially dangerous after a longer use. After treatment with acupuncture, there are no complications, provided that the therapist is a doctor of official medicine, licensed for acupuncture. It is important to know that acupuncture can be applied in the case of all ages and diagnosis, because it will certainly alleviate the pain, if not cure your primary illness. We recommend reading the texts: body massage, foot reflexology, alternative weight loss methods.